Along with all the professional help that is available to those who are wanting to be free of their addiction, are many self-help techniques. For those addicted to drugs or substances these techniques are probably not recommended for initial treatment, but can be extremely beneficial after medical intervention methods have been put in place. Self-help methods are those which people seek and instigate themselves. They usually involve the use of some sort of supporting equipment such as books, DVD's, CD or other media to help the person achieve their goals. Self-help techniques are used by those who want some part of their life improved and are willing to try specific methods of achieving this. Courses are normally devised by specialists of the subject and can be written by medically qualified people, trained therapists or other type of professional. There are hundreds of products available for self-improvement. Some of these are recognised as well proven methods, others may simply be a way of making someone money. For someone with an addiction there are several approved techniques that can help to overcome their dependency. Self-Help Groups: Self-help groups are particularly beneficial to those who have already begun to recover from their addiction. Sharing knowledge, experience and views with others who have been through the same experiences and have overcome their problems, can be a great way of boosting confidence and determination for continuing to succeed and also to be able to see their addiction more objectively from the perspective of others. Hypnotherapy At Home: Hypnotherapy can be administered with the help of a trained therapist and often anappointment with a therapist will benefit the person prior to commencing an at-home technique. 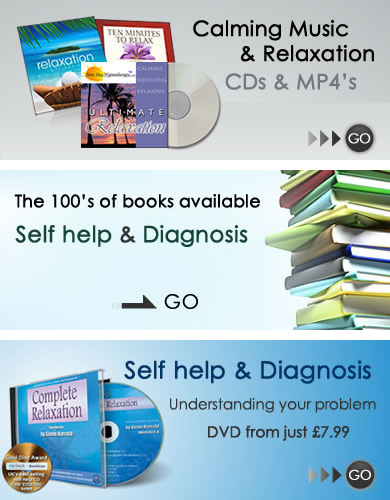 To benefit from hypnotherapy at home DVD's or CD's may be used. These aim to relax the person clarify their thoughts and reorganise thought processes and reactions to certain stimuli. Deep Breathing: Although this may not be the most obvious method of self-help, it can be a very useful technique to learn as it can be relied upon when cravings become strong. Distraction and breathing can both help to allow the craving to pass until the person feels able to continue with whatever they were doing previously. When mastered through practicing, they may be extremely useful. Positive Thinking: Trying to remain positive will help ensure confidence and will power remain intact. Rewarding some achievements and efforts will help to stay positive. Visualising a goal and seeing yourself achieve that goal will all contribute to having a positive mental attitude. Surround yourself with people who are natural bubbly and always see the good side and avoid those who have little faith or don't want you to succeed; these aren't your real friends anyway. Stress & Anger Management: This is an area that most of us could benefit from addressing. Everyone will find their own methods of relieving their stress and frustrations, this could be by working it out at the gym and relaxing afterwards with a nice massage, or for those who are on a tight budget, dancing at home, or following an exercise DVD followed by a quiet bath will achieve the same result. Any method that is safe to yourself and to others around you will help promote better long term health. There are hundreds of books and products on the market that claim to help overcome some of the hurdles faced in life, some work better than others, but each individual should try and find the most suitable technique for their circumstance.